Knaut's Guesthouse -- Not Your Average Cottage Property!! Not your average cottage property!! 1.72 acres of wooded, waterfront paradise. There are 2 houses on the property which are connected by a 4 season walkway. Both homes are fully equipped with your comfort in mind -- We provide good quality linens and towels. Ski-hill and golf are just 3 min away and a canoe and 2 kayaks are available for your use along with adult lifejackets. Each home has a separate entrance and dedicated parking spots along with Gas BBQ, washer/dryer and Free high speed internet. The small guesthouse has 2+ bedrooms and 2 bathrooms. The large guesthouse has 4 bedrooms and 3 bathrooms (pictures upon request). The dock and deck areas are shared between the 2 homes. We are dog friendly and ask that you use the doggie bags provided. Both houses can be rented together or separately. Weekly rental minimum for July and August, long weekends are 3 night minimum and regular weekends have a 2 night minimum. We only accept email transfers with 1/2 due at time of booking and remaining due 2 weeks before arrival. US visitors can make other arrangements. There is a refundable damage/cleaning deposit for each stay. Default Rates below are for renting both houses together. Single house rates are available. 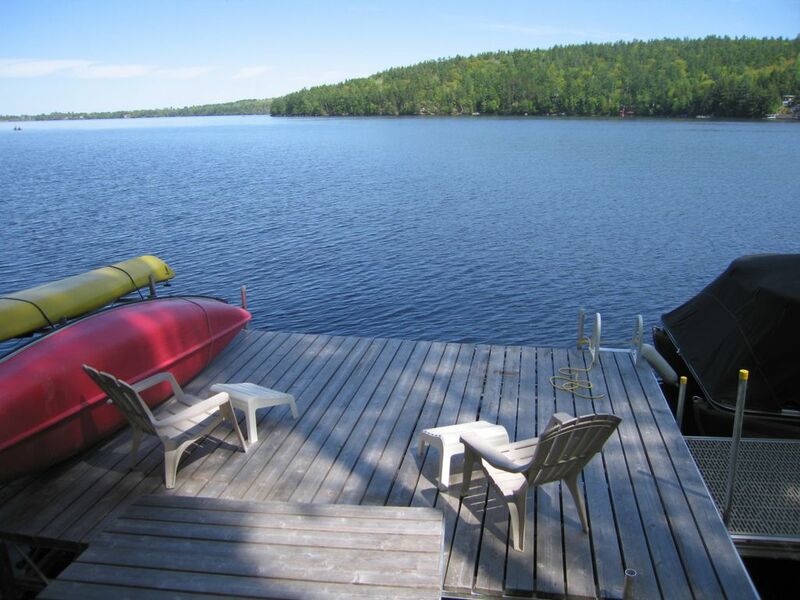 We are located on Calabogie Lake 5 min from the hiking trails and ski hill and a par 3 9 hole golf course. We have 2 kayaks and a canoe for your use. We also have 2 washer/dryers, gas BBQ's, dishwashers, TV's with Roku so you can stream your favourite shows. We also have highspeed WIFI in both houses. We supply good quality linens and bath and beach towels for your use and the 2 kitchens are fully equipped.